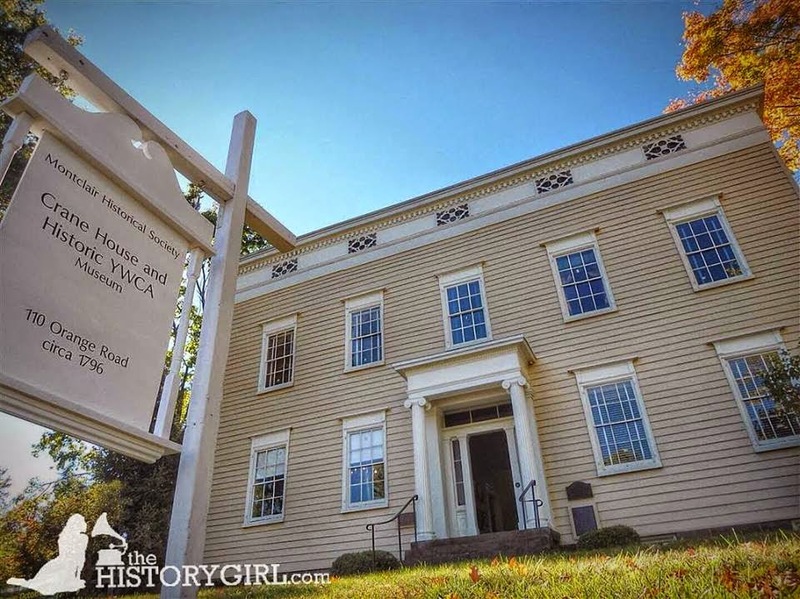 NJ Weekend Historical Happenings: 3/21/15 - 3/22/15 ~ The History Girl! New Mystery for 2015! 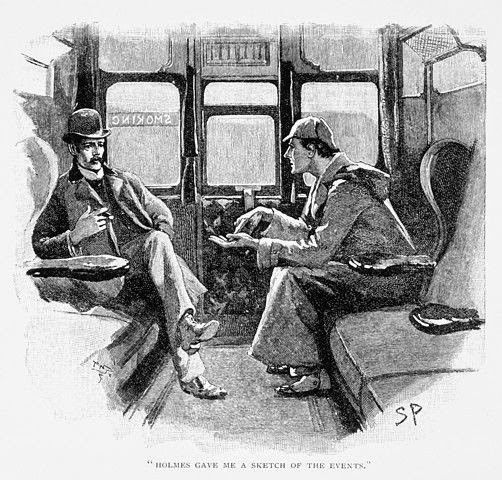 Join Sherlock Holmes and his partner, Dr. Watson as they work the clues to solve the mystery, "Sherlock Holmes and the Case of the Silver Fox" - a weekend of mystery and intrigue, Friday through Saturday. Get into the spirit of things by donning Victorian attire and stalk the gaslit streets in search of clues; compete for the $250 grand prize and other valuable gifts as you attempt to solve the mystery. Full weekend packages are available for $200 per couple or $105 per person and include the welcome reception, performances, tour, luncheon and gift. Weekend overnight packages are also available. The Search for Clues tour on Saturday, March 21 can be purchased separately. East Lynne Theater Company presents "Holmes and Carter Mysteries": Performed in the style of radio shows from the 1930s through the 1950s, is this vintage-radio style production, complete with live sound effects and commercials, featuring two great detectives - Sherlock Holmes Adventure of the Copper Beeches about a governess in peril, and Nick Carter and the Strange Dr. Devolo, in which Manhattan millionaires are missing. Friday, March 20 and Saturday, March 21 at 8:00 pm at the First Presbyterian Church, 500 Hughes Street, Cape May, NJ. Tickets: $25 general; $15 students; ages 12 and under free. Sponsored by East Lynne Theater Company in association with the Mid-Atlantic Center for the Arts & Humanities (MAC). Search for Clues Tour, March 21: Travel from inn to inn in Victorian Cape May while you try to solve a murder mystery. 1:00 - 3:00 pm. $15 for adults, $7.50 for children (ages 3-12). Tour begins and tickets are available at the Washington Street Mall Information Booth. These programs are sponsored by the Mid-Atlantic Center for the Arts & Humanities (MAC). For more information, call 609-884-5404 or 800-275-4278 or visit www.capemaymac.org. Enjoy a day celebrating women in Colonial America for Women's History Month! On Saturday, from 12:00 noon - 4:00 pm, learn all about how food was prepared and preserved during colonial times with our ongoing presentation, "Best If Used By..." Foodways of the 18th Century. At 1:00 pm, Nancy Loane will speak about her book, Following the Drum: Women at the Valley Forge Encampment, discussing the impact that the military encampment had on nearby families, as well as the plight of the women who followed the Continental Army during the American Revolution. There will also be a brief Q&A, followed by an informal book signing. This book is available for pre-order, and limited quantities will be available that day for purchase in the store. Please call 609-777-3599 to reserve your copy. Open house tours will take place throughout the day. Be sure to take in our many galleries pertaining to the 18th century and the history of the building as well. These programs are included with regular admission: $8 adult, $6 student/senior, free for children under 6, active U.S. Military, and members. Parking for this event is free and plentiful, located in the lot next to the museum. The Old Barracks Museum is located at 101 Barrack Street, Trenton, NJ. For more information call 609-396-1776 or visit www.barracks.org. Do you want to discover if Absecon Lighthouse is home to ghostly keepers that still watch over the shore in Atlantic City? Come visit the Absecon Lighthouse to partake in your own Ghost Investigation, led by the New Jersey Researchers of Paranormal Evidence (NJROPE). NJ ROPE will be on property to help you hunt for ghosts in the five paranormal "hot spots" identified at the two-acre property, museum, and tower in their previous paranormal investigations. Participants will use equipment such as light boxes, glow balls, K2 meters, and cameras to detect voices and electromagnetic fields; participants are encouraged to bring their own equipment as well. Hear NJROPE's eerie recordings taken during previous paranormal investigations. Guided tours of our grounds and tower will let you experience an authentic paranormal investigation. Reservations are required; call 609-449-1360. Doors open at 6:30 pm and the three hour investigation begins promptly at 7:00 pm and concludes promptly at 10:00 pm. Tickets are $45.00, and must be reserved. There will be five teams of eight participants in each investigative team, and participants must be at least 16 years of age. Results are not guaranteed. Since The Inlet Public Private Association renovated the lighthouse tower, rebuilt the Keeper's Cottage, and reopened to visitors, several staff and volunteers have shared stories of being alone on the property but hearing footsteps and voices, smelling smoke, and even seeing a few ghostly apparitions. Now is your chance to experience the Absecon Lighthouse as you've never experienced it before. Absecon Lighthouse is located at 31 South Rhode Island Avenue, Atlantic City, NJ. For more information, call 609-449-1360 or visit www.abseconlighthouse.org. Why was tea so important in the lives of 18th century people that fashion-conscious families posed for portraits with their tea sets? Did Great Britain lose her American Colonies over "the cup that cheers?" Find out in this unusual costumed presentation of tea lore, history, songs, poetry, living history display, and demonstration. Presented by Stacy F. Roth at 1:00 pm. Suitable for ages 8 and up. Sponsored by the Society of Colonial Wars in the State of New Jersey. This program is free and open to the public and will take place at the Burlington County Lyceum, 307 High Street, Mount Holly, NJ. Pre-registration is requested. For more information and to register, call 609-267-7111 or e-mail bclhns@bcls.lib.nj.us. 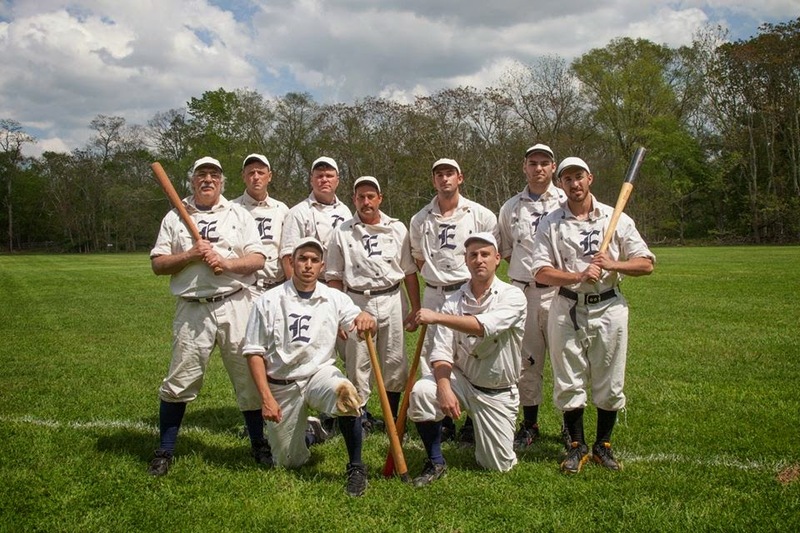 On Saturday at 12:00 noon, come see the Bog Iron Boys of Allaire Village take on the Flemington Neshanock in a vintage Base Ball game at Historic Allaire Village. The game will be played by 1864 rules, with 1800s vintage costumes and fun! The Historic Village at Allaire is located at 4263 Atlantic Avenue, Farmingdale, NJ. Admission to the game is free but there a $5 parking fee in effect for Allaire State Park. For more information, contact the Allaire Village office during business hours, Monday through Friday, 9:00 am - 5:00 pm, at 732-919-3500 or visit www.allairevillage.org. Thomas Edison National Historical Park is proud to be participating in the first ever New Jersey Makers Day on Saturday. Community members of all ages are invited to join us for an exciting day filled with activities focusing on maker culture. The following activities will be offered throughout the day at the laboratory complex on Main Street. No reservations needed. See how tall you can build your structure using straws, paper clips, and pipe cleaners and be able to balance a golf ball on top. With supplies like a toothbrush, motor, batteries and stickers can you create a robot. This program has limited supplies and is offered on a first come basis. Can You Make a Polymer? 2:00 p.m. - 4:00 p.m.
What is a polymer? Be like Edison the Chemist and mix together ordinary household items to create your very own polymer. Let’s make a movie!! Movies are nothing but individual pictures moving by at a fast speed that your eye cannot tell they are individual pictures. Using iPads we will make stop motion movies. What will your movie look like? NJ Makers Day is designed to be a statewide single-day event that celebrates, promotes, and in many cases may introduce maker culture, as well as the values associated with making, tinkering and STEM-based learning. The maker movement in the United States isn't just a hobby; it’s having a significant impact on school curriculum development and growing local economies. To celebrate making and maker culture, residents throughout New Jersey will come together on Saturday in libraries, schools, museums, homes, and other community locations. Find out more about NJ Makers Day at www.njmakersday.org. Thomas Edison National Historical Park is a National Park Service site dedicated to promoting an international understanding and appreciation of the life and extraordinary achievements of Thomas Alva Edison by preserving, protecting, and interpreting the Park’s extensive historic artifact and archive collections at the Laboratory Complex and Glenmont, the Edison family estate. The Visitor Center is located at 211 Main Street in West Orange, NJ. There is a $7 entrance fee into the park for anyone 16 years of age and older. For more information, call 973- 736-0550 ext. 11 or visit www.nps.gov/edis. On Saturday, Howell Living Farm invites visitors of all ages to get a grip on history by grabbing a shovel, saw, drawknife, or cant hook when helping hands are needed to plant trees, cut firewood, make barn pegs and ready logs for the sawmill. Those who like working the old-fashioned way can use a two-man saw to cut rounds that will then be split into firewood, wheel chocks and barn peg blanks. Mallets, froes and draw knives are among the tools that visitors can try. Youngsters can make and take home a barn peg like the ones used to hold together a timber frame barn. On Saturday and Sunday, stop by Lusscroft Farm for a Maple "Sugarin" Open House. Observe the "sugarin" process and purchase our bottled maple syrup. Fresh syrup will be available for purchase. The site will be open from 1:00 - 3:00 pm each day, weather permitting. Lusscroft Farm is located at 50 Neilson Road and 4H Trail, Wantage, NJ (Entrance at Route 519 at mile marker 81). For more information, visit www.lusscroftfarm.com. Medical historian Dr. Sandra Moss, who riveted Durand-Hedden visitors in 2011 with the surprising dangers of the natural toxins in garden flora, returns on Sunday at 2:00 pm to share the story of a pioneering, multi-faceted local 19th century doctor who is the subject of her new book: Edgar Holden, M.D. of Newark, New Jersey, Provincial Newark Physician on a National Stage. Dr. Holden (pictured here) transcended the provinciality that characterized Essex County's medical community, acting as a surgeon on an ironclad ship and at the Ward U.S. Army hospital in Newark during the Civil War. In his four decades of practice in Newark, he was recognized locally as a skilled surgeon, respected consultant, and a doctor’s doctor. He made contributions to cardiovascular technology, the new specialty of laryngology, insurance medicine, and tuberculosism, and published over 40 articles. There is also a Hedden connection – as Dr. Holden’s wife was Katherine Hedden of Orange, NJ. Through this marriage he was the ancestor of journalist Joan Lowell Smith, who will also be available to talk about the importance of the Hedden family to the founding of Newark in 1666. The last private owner of the Trent House, Edward A. Stokes, donated the building to the City of Trenton in 1929 with the condition that it be returned to its appearance during the William Trent era and be used as a library, art gallery, or museum. The building had been much changed since it was built, and the additions had to be removed. The restoration wasn't justifyed until 1934 because of the national Depression. With funding from the federal government through the Civil Works, the Emergency Relief, and the Public Works Administration, restoration commenced under the direction of the Trustees of the Trenton Free Public Library. J. Osborne Hunt and Samuel Mountford were the architects and Howard L. Hughes, City Librarian, was the coordinator. The building was formally dedicated on October 14, 1936. Trenton native Samuel Mountford (1892-1970) was a prolific architect in Mercer County and the surrounding area, with a career spanning from 1919 into the 1960s. First as a partner in the P.L. 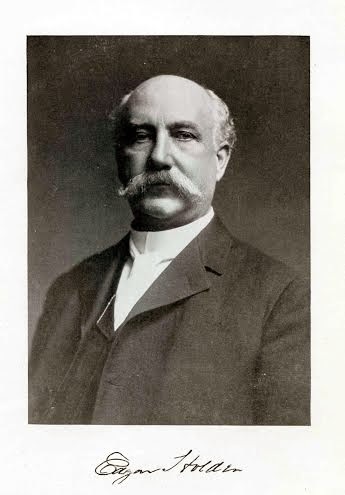 Fowler Co., and later as Micklewright & Mountford, he completed numerous projects for the Trenton Board of Education and the Episcopal Diocese of New Jersey, among many other clients. The talk focuses on the varied works of Mountford and his colleagues, as well as his role in the restoration of the William Trent House and other local landmarks. On Sunday, Jennifer B. Leynes, a Senior Architectural Historian at Richard Grubb & Associates, Inc will discuss Mountford's life and work. She has a Bachelor of Arts in History from Furman University and a Master of Historic Preservation from the University of Georgia. She has been a resident of Trenton for more than 15 years and is a past president of the Trenton Historical Society and current member of the Trenton Landmarks Commission. This program is sponsored by the Trent House Association and the Trenton Historical Society. Complimentary refreshments beginning at 1:30 and the program begins at 2:00 pm. Tickets sold at the door - $15. 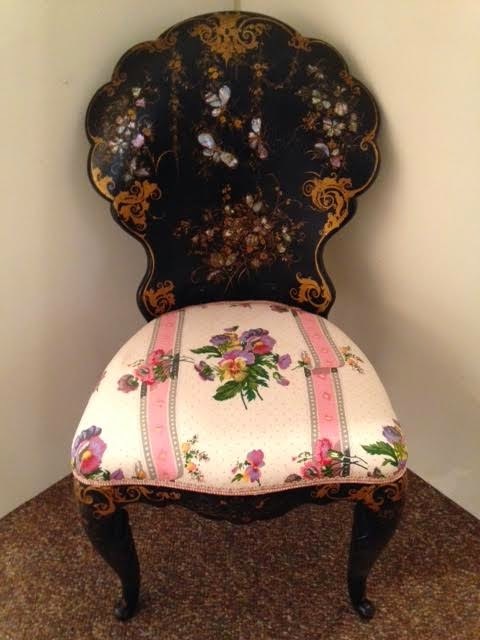 $10 for members of the Trent House Association or the Trenton Historical Society. The Trent House Museum is located at 15 Market St, Trenton, NJ. For more information, call 609-989-3027 or visit www.williamtrenthouse.org. On Sunday, the Camden County Historical Society is hosting authors and historic preservation advocates Robert A. Shinn, a Camden County Historical Society board member, and Kevin Cook for a book chat and social. Their new book entitled, Along the Cooper River chronicles the river's heritage. Bring your questions, stories, and memorabilia for an interactive discussion, activities and prizes! Light refreshments will be served followed by tours of historic Pomona Hall, ancestral home of the Cooper Family. See historic images and maps and talk to the book’s authors. Admission is Free. The Camden County Historical Society is located at 1900 Park Boulevard, Camden, NJ. For more information, call 856-964-3333 or visit www.cchsnj.org. 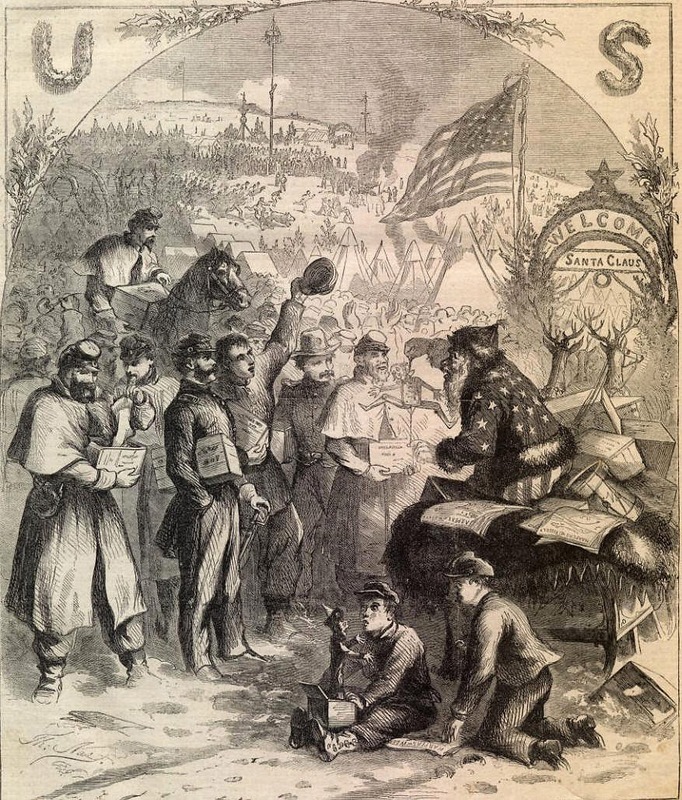 On Sunday, the Burlington County Historical Society presents, "Elias Wright, Civil War Brevet Brigadier General & Joseph Wharton's Trusted Friend" by Betsy Carpenter. Program is from 2:00 - 4:00 pm. After the lecture there will be Q & A and light refreshment. Admission: $5 per person. Programs takes place at the Corson Poly Center, with entrances at 457 High Street and 454 Lawrence Street, Burlington, NJ. For more information, call 609-386-4773, ext. 1 or visit www.burlingtoncountyhistoricalsociety.org.